The Chinese education system plays a major influence on standardizing the identity of China’s youth. For decades, this system has left a stigma on each generation of young Chinese. I am deeply concerned about the fact that this political and repressive system de-individualizes the nation’s future generation, and my body of work intends to reveal the Chinese school life in order to raise the awareness of the long-lasting effects of this problematic system. 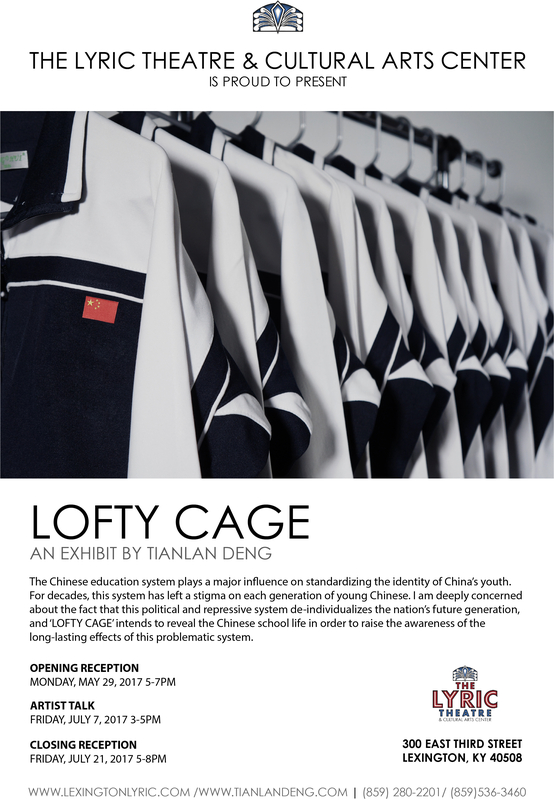 Lofty Cage is a composite installation which consists of four sections ---- Schoolroom, Tablet, Loop, and Fence. Schoolroom references a common Chinese classroom, and developed out of my last show "Rote Shadows” at the Mill & Max Contemplative Arts Gallery. Schoolroom combines with two wooden constructions, hanging scrolls, Chinese school uniforms, surveillance and classroom elements. By applying and organizing these elements, I tend to create a center scenario of China’s school life. 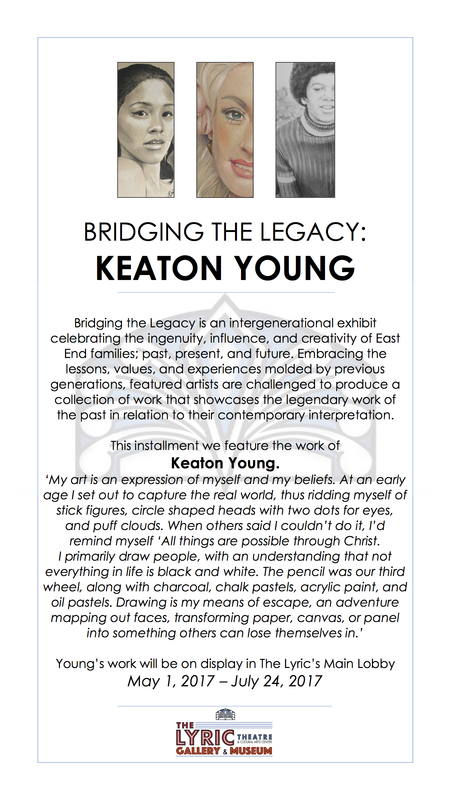 Bridging the Legacy is an intergenerational exhibit celebrating the ingenuity, influence, and creativity of East End based families, past, present, and future. Using a multimedia approach, this exhibit showcases the importance of family, how talents and skills are invested and passed down generation to generation. Discovering the parallels of artistic and cultural expressions of the selected artists frame the dozens and dozens of narratives found within the historic East End neighborhood. Unearthing the past to gain a greater understanding of our shared history and future is the basis of the work created for Bridging the Legacy. Embracing the lessons, values, and experiences modeled by previous generations, featured artists are challenged to produce a collection of work that showcases the legendary work of the past in relation to their contemporary interpretation. ‘My art is an expression of myself and my beliefs. At an early age I set out to capture the real world, thus ridding myself of stick figures, circle shaped heads with two dots for eyes, and puff clouds. When others said I couldn’t do it, I’d remind myself ‘All things are possible through Christ.